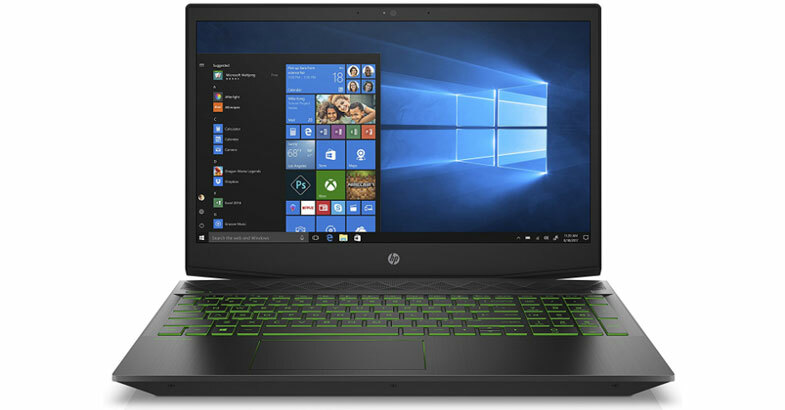 In the last article of best gaming laptops under $700, I have mentioned that finding the best gaming laptop for a lower budget is getting tough, but this time, it is really tougher to find out the best gaming laptops under $600 than the budget of 700 dollars. That’s why this time I have found a few gaming laptops. In this budget, you will get more AMD processor laptops than Intel Core processor laptops. I always recommend to go with Intel Core processor laptops and this is the reason I have found only a few laptops. One more thing I want to add here is that when you will go for buying an Intel processor laptop then go for the latest Gen processor and not an old one like 5th or 6th Gen processor. Here you don’t need to worry about that because below laptops have the latest 8th Generation Intel Core i5 and i7 processor which are latest. You may think I have added very fewer laptops to the list but the thing is that I don’t want to increase the list by adding old configuration laptops. One more thing here I want to add, if you will compromise with the storage part then it is ok but don’t compromise with the processor. The reason behind is that you are spending your hard earn money for the gaming laptop. So if it has the latest processor and powerful set of configuration it will run smoothly for a long run and not for a short run. Ok so now without talking about the other things we have to go through the below best gaming laptops under a budget of $600. This HP Pavilion 15-cx0056wm is the beast of this list, as it has got a power-packed configuration which is tough to get at this budget. If we look at the design of this laptop anyone can easily understand that it is a pure gaming laptop from outside but its internal hardware as well proved that. It’s matte black finished chassis and acid green accents give it to full gaming feel. This gaming beast sports 15.6 inches full HD IPS Anti-Glare WLED-Backlit display and it runs on the latest Windows 10 operating system. Now if we talk about its hardware then it is powered by latest and fastest 8th Gen Intel Core i5-8300H processor clocked up to 4.0 GHz. To run all the high graphics games it has 4GB NVIDIA GeForce GTX 1050 Ti graphics coprocessor and 8GB of RAM. 1TB of massive storage fulfill all your storage needs so you never face any low storage issue. If you want a gaming laptop with a gaming look and powerful configuration around the budget of $600 then I recommend you to surely you should go for it. To deliver rich, authentic audio with front-firing speakers this gaming machine is tuning by B&O PLAY. The battery life of this device is also good which provides up to 7.5-hours of battery backup on one-time charge. 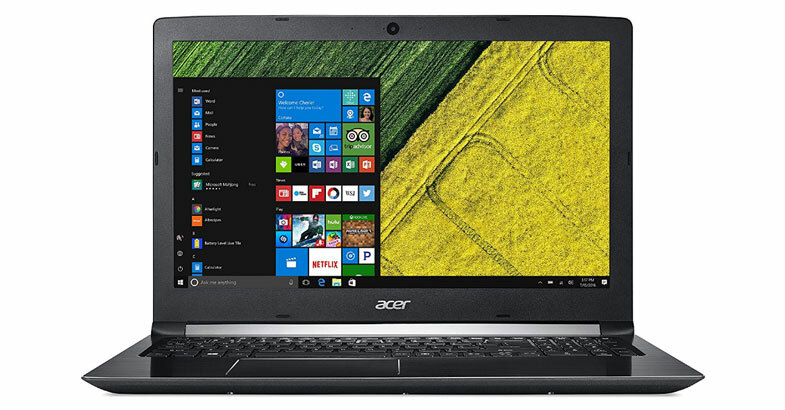 This Acer Aspire E 15 is a powerhouse laptop from Acer under the budget of 600 dollars. If we look at its design then it has got a classic design with full black chassis and its top chassis has cross hairline brush textured which gives it to a premium look. This classic laptop has got large 15.6 inches Full HD ComfyView LED-backlit display with 1920 x 1080 pixels of resolution. If we talk about its internal then this laptop is powered by 8th Generation Intel Core i5-8250U processor clocked at 3.4 GHz speed and runs on the latest Windows 10 operating system. To fulfill all the gaming essential it has got 2GB NVIDIA Geforce MX150 graphics and 8GB of RAM which gives you a smoother and faster performance while you are playing games or doing multitasking. 256GB of SSD storage this laptop has got which may disappoint you but this SSD is faster than the HDD. Being a powerhouse laptop it provides you up to 15 hours of battery life which an impressive battery backup for your day to day routine. Apart from this, it has Acer TrueHarmony feature which gives you good audio quality and amazing multimedia experience while you are playing games, watching movies or listening music. This is the perfect laptop under the budget of $600 who want to use as a gaming as well as for working laptop. 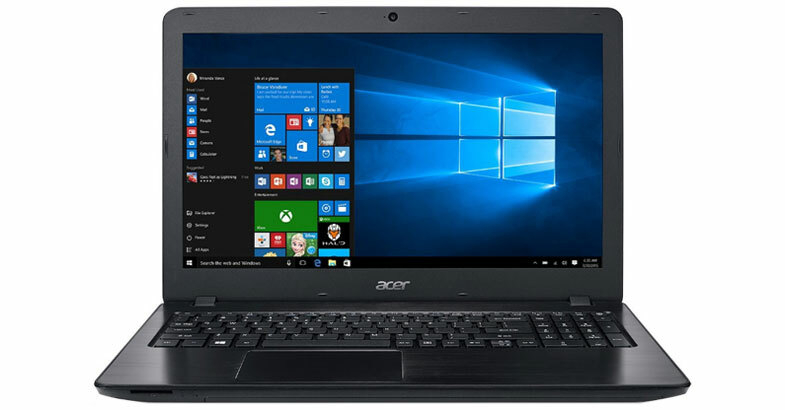 In case if you like this Acer Aspire E 15 laptop but want this laptop with i7 processor then you can go with its another varient. | Check it out on Amazon. This is another laptop From Acer which is Acer Aspire 5. This laptop has also got a similar power packed internal hardware like above E15. The only difference between both the laptop is that E15 provide you up to 15 hours of battery life while this Aspire 5 provide you up to 7 hours of battery life. Also, E15 weight is a little bit more than Aspire 5. If we talk about its design then it has black metal finished chassis which give an amazing look. It sports 15.6 inches Full HD ComfyView widescreen LED-backlit display with the 1920 x 1080 resolution. This laptop runs on latest Windows 10 operating system and powered by 8th Generation Intel Core i5-8250U processor clocked turbo up to 3.4 GHz speed. To handle all the gaming essential it has 2GB NVIDIA GeForce MX150 graphics coprocessor and backed by 8GB of RAM. It can easily handle your games or multitasking smoothly without hiccups. It has 256GB of SSD storage which provides you faster performance. The above Acer Aspire E 15 and this Acer Aspire 5 both are most probably the same so don’t worry go with the one which you like. As we all know Dell is well-known for its durable laptops which come with powerful hardware specifications. 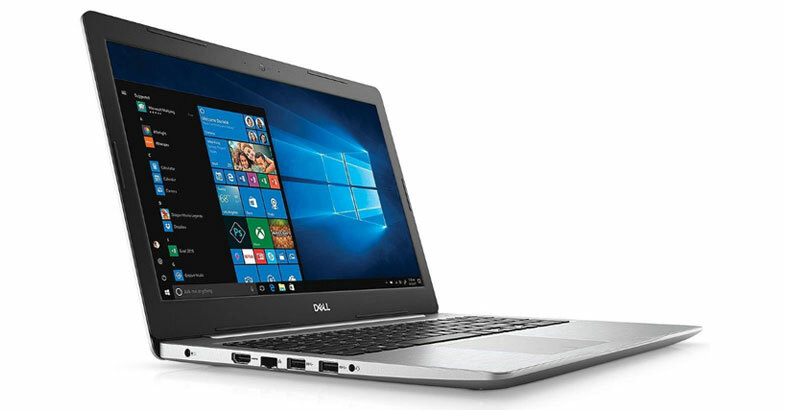 This Dell Inspiron 15 7570 laptop from Dell comes with the latest and powerful set of hardware configuration. And the chassis of this laptop finished in a Platinum Silver which gives premium look and feels. Let’s move towards the specifications of this laptop, it is powered by the latest 8th Generation Intel Core i5-8250U processor and coupled with 8GB of RAM. This Dell laptop runs on the Windows 10 operating system and got 1TB of huge HDD drive which is good enough for all of us to store all the data. If you are concerned about the graphics of this device then it is equipped with 4GB of NVIDIA GeForce 940 MX dedicated graphics card. It sports 15.6-inch of full HD True-life LED-Backlit display with IPS panel which provides a wide range of angles without sacrificing image quality. To deliver an immersive audio quality it comes with Waves MaxxAudio Pro. The battery backup of this notebook is decent which provides up to 8.56 hours on a single charge. Moreover, the keyboard of this laptop is backlit enabled which helps you to work conveniently in dim light settings. For the connectivity, it has got all the required ports and slots without an optical drive. 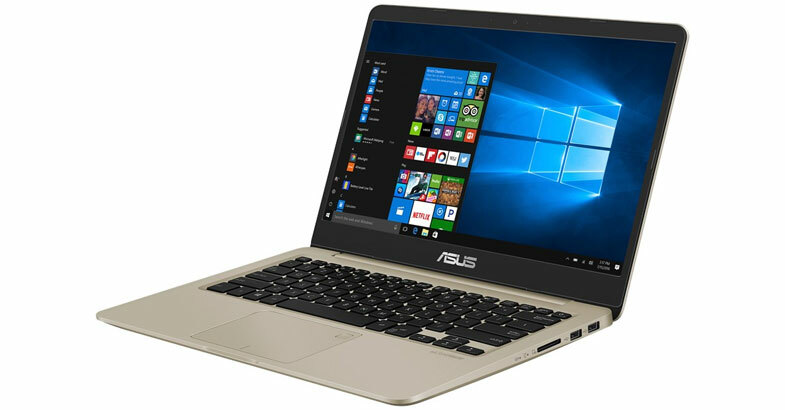 Under the $600 budget, this ASUS VivoBook S15 thin and a portable laptop is a good option for those who regularly keep the laptop with them everywhere. As per the laptop looks you will not believe that this is a gaming laptop but its internals has proved that. To make this device portable it has wrapped all the specs in just 0.7 thin profiles which weighs 3.7 pounds only. So let’s talk about the specs of this device, this ASUS laptop is powered by the latest 8th Gen Intel Core i5-8250U processor and runs on the Windows 10 operating system. To handle multitasking on this device it is backed by 4GB of RAM + 16GB Intel Optane Memory which will handle almost all the task and give you a smooth working experience. To take care of gaming essential it has 2GB of NVIDIA GeForce MX150 dedicated graphics card which will fulfill your all the gaming needs. The storage compartment of this laptop comes with huge 1TB of HDD drive which fulfills all your storage needs and never faces any low storage issue. This ASUS VivoBook S15 sports 15.6 inches of Full WideView color-rich display with 1920 x 1080 pixels of resolution. Apart from this, it has all the required ports and slots except an optical drive. Overall this is the perfect option for those who are looking for the best light-weight gaming laptop under $600 budget with a premium experience. Actually, this Lenovo Ideapad 720s 14 is a business laptop but the internals of this laptop makes it gaming laptop. So, if you are looking for work and play machine to fulfill both the needs then this is the best choice for you. 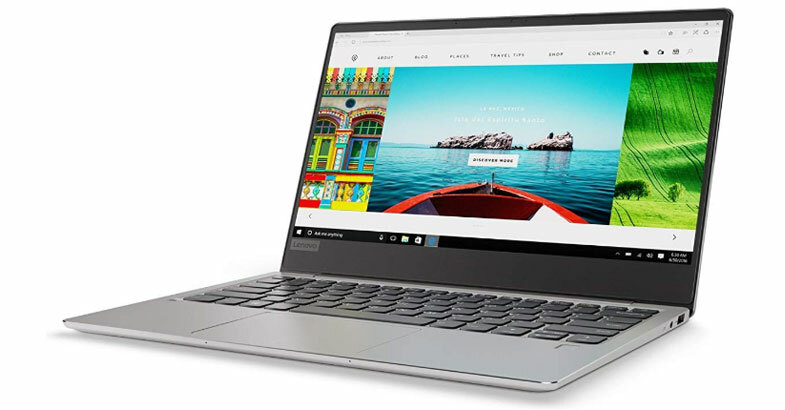 This Lenovo laptop is extremely thin and light, which has wrapped all the powerful hardware in 0.62 thin profile and the weight is 3.4 pounds only. It is powered by the Intel Core 8th Gen i5-8250U processor with 6MB Cache and Turbo boost up to 3.4GHz. Under $600 budget segment this device is equipped with mammoth 16GB of RAM and huge 1TB of SSD drive, which gives you amazing gaming experience. The graphics on this device is backed by NVIDIA GeForce MX150 graphics with 2GB of dedicated memory. It sports 14-inch of full HD Anti-Glare display with IPS technology, which delivers color-rich visuals from a wide-viewing angle. On top of that, it has Fingerprint Reader, which helps you to log-in into the device with just a single touch. If you are concerned about the battery life, then don’t worry it provides up to 14-hours of long-lasting battery backup on full charge. This device featuring JBL Premium Audio speaker which delivers clear audio that renders detail across a wide range of sounds at any volume. These are the top picks of best gaming laptops under $600. Above laptops come from the most popular laptop brand with powerful configuration. In this list, I have listed only the latest 8th Generation Intel Core i5 and Intel Core i7 processor laptops and not the old one as I have mentioned. I have tried my best to find out the best gaming laptops with the latest and powerful configuration. I hope this gaming laptop buying guide help you to buy the best gaming laptop under a budget of 600 dollars.